More and more, brides and grooms are opting to forego a wild night out to celebrate their last night of being single. Instead, they plan exciting weekend getaways with their closest friends. 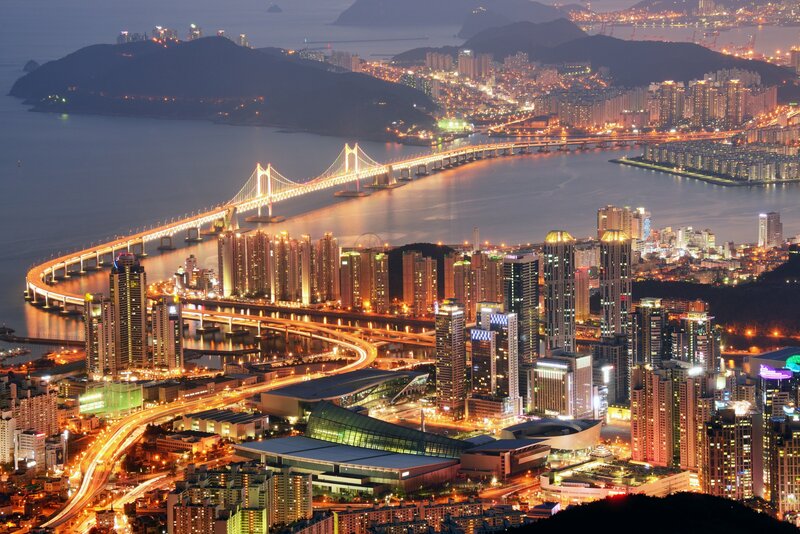 These trips still include the wild antics, but their destinations are chosen based on what they offer in terms of entertainment, food, and general sightseeing opportunities. We wanted to know how much these fun-filled excursions tend to cost attendees. 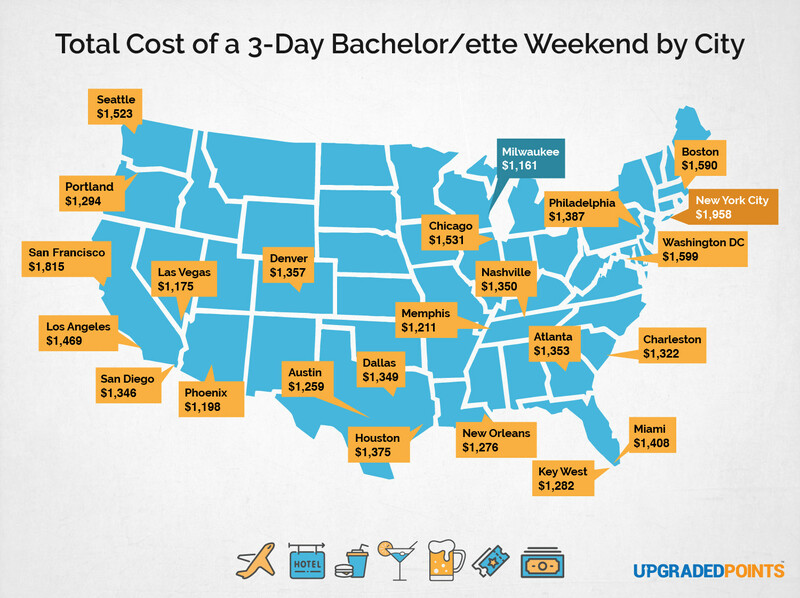 Using the top bachelor and bachelorette party destinations of 2018, we evaluated the average cost of hotels, airfare, food, alcohol, and activities for a 3-day weekend trip. Based on statistics from the Bureau of Transportation, we calculated the average airfare to each location. Airfare: Surprisingly, it wasn’t New York or California with the most expensive airfare — Houston, Texas topped the list with an average airfare cost of $420.57. Dallas came in second with $381.16, and Charleston, South Carolina was right behind it at $378.50. 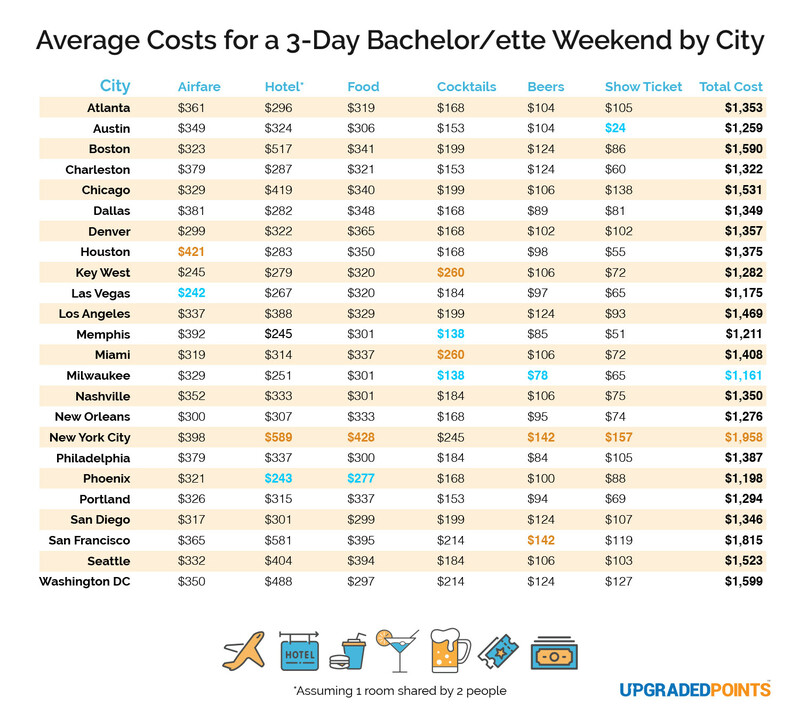 On the other end of the spectrum, Las Vegas was the least expensive ticket, coming in at an average of $242, followed by Key West at just $245 and Denver at just under $300. 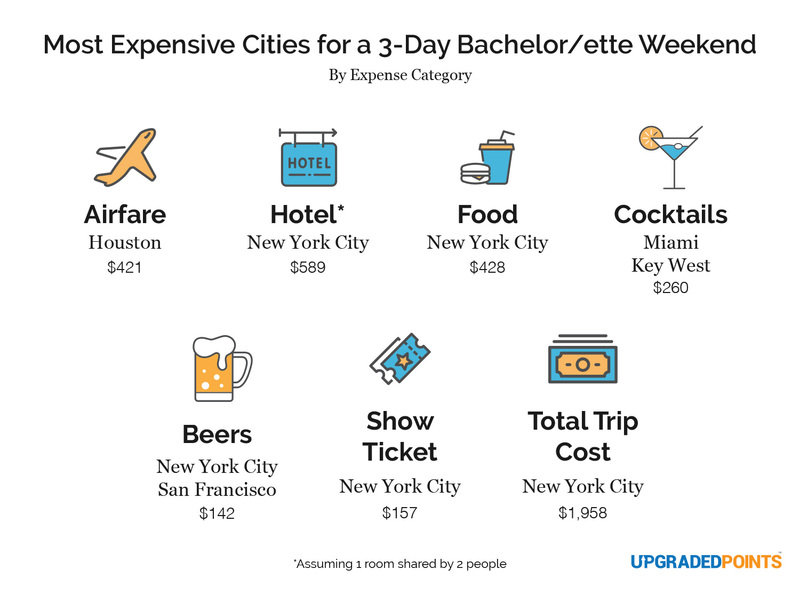 Hotel: Unsurprisingly, New York City was the most expensive location for a 3-night stay in a hotel, with a price tag of $589 per person (assuming the cost would be split by 2 guests). San Francisco came in second at $581, followed by Boston at $517. The cheapest options for lodging were Phoenix at $243, Memphis at $245, and Milwaukee at $251. 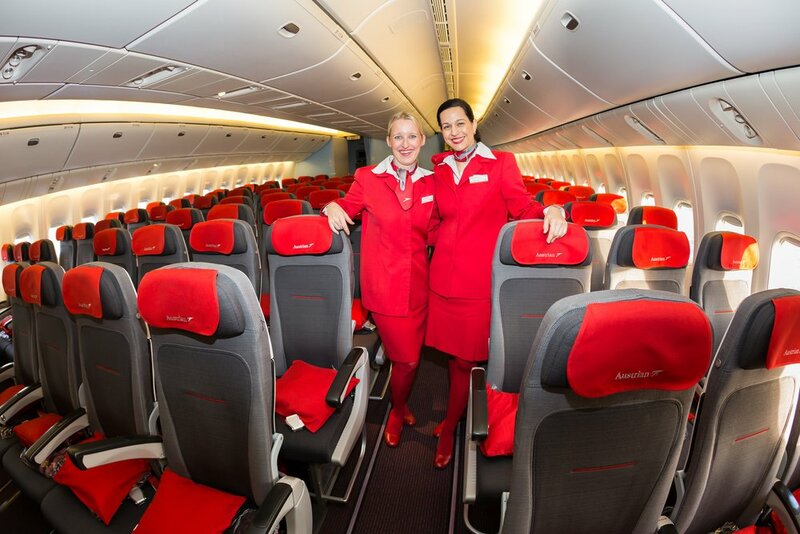 However, if you’re good enough friends to cram a few more guests in per room, that could help cut down on some costs! Food: New York was also the most expensive in terms of food, costing approximately $428 for 3 days of meals in the Big Apple. If you’re looking to save money on food costs, Phoenix is your best bet at $277. Alcohol: We based our drink estimations on a study conducted by alcohol.org that determined the average number of drinks consumed at a bachelor or bachelorette party. The study found that people consume around 5.1 liquor-based drinks or 5.9 beers per day. The most expensive location for liquor-based drinks was a tie between Miami and Key West, at approximately $260 for 3 days of cocktail consumption. For beer drinkers, however, New York City and San Francisco came out on top at just over $140 for 3 days of average beer consumption. Show Tickets: Many bachelor and bachelorette parties will plan their trip around an event like a show, concert, or sports game. Sports and concert ticket costs vary greatly, but the average cost of going to a show was highest in New York (the home of Broadway), followed by Chicago. For a lower ticket price, head over to the Live Music Capital of the World in Austin, TX. While the theme and destination for a bachelor or bachelorette party vary, there is one thing they all have in common: alcohol. Even though the study from alcohol.org determined the average number of cocktails (5.1) and beers (5.9) consumed per day during these events, we know that these parties may also go well above that average. 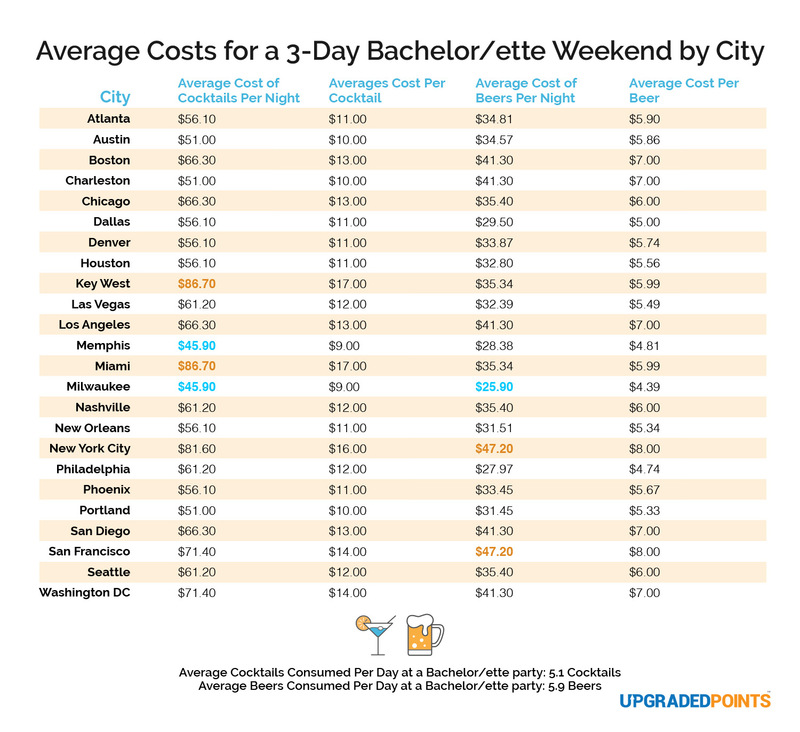 Looking at the average cost of cocktails and beers in each city, this chart can help you better determine your average cost of drinking per night (or plan for an extra budget if you think you’ll go over!). 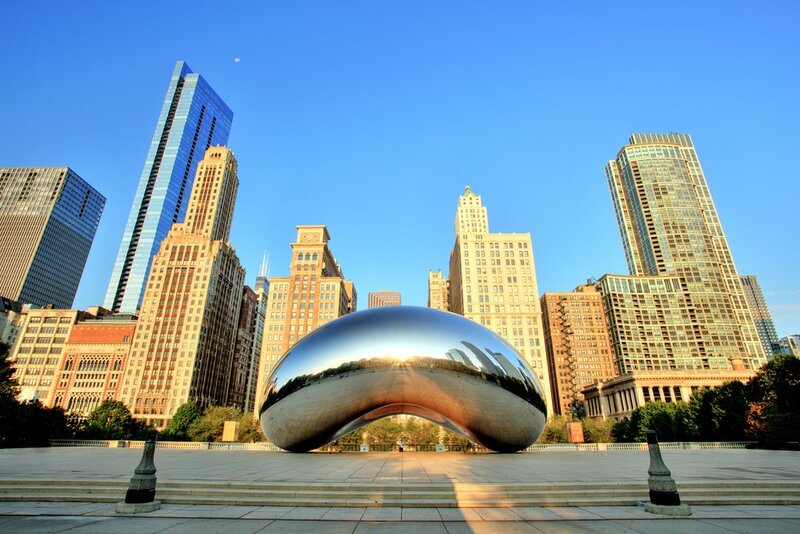 Overall, if you’re looking for a fun weekend at a relatively low cost, you can try somewhere unconventional like Milwaukee or Memphis, or stick to some (keyword: hot) spots like Phoenix or Austin! For a more luxurious trip, New York City offers the finest (or at least the most expensive) food, lodging, drink, and show experiences. San Francisco comes in second for the most expensive weekend trip — so if New York isn’t your style, but you still want to spring for an incredible trip, the Golden City is your best bet. A great way to reduce your expenses on trips like these is to earn rewards points that can be used towards airfare and hotel stays. There are many travel rewards cards that you can choose from and it’s worth putting in a bit of research to compare bonus categories, perks and benefits to see which is best for you. 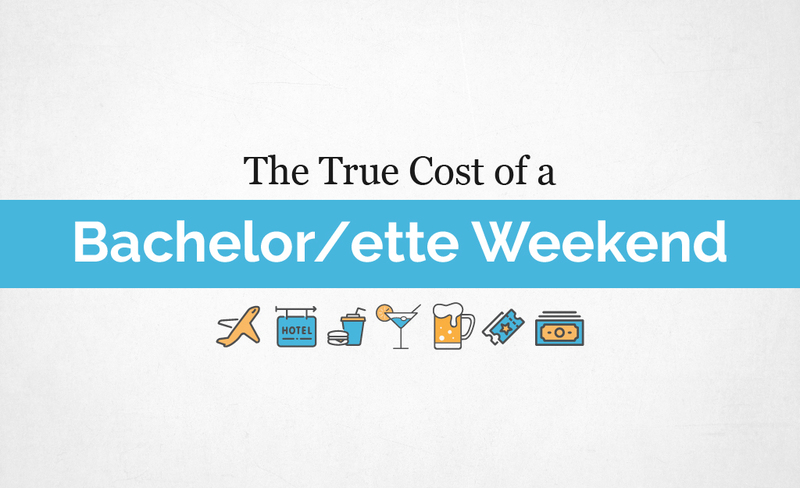 Wherever you decide to enjoy a weekend of celebrating the end of your single days, it’ll cost a few bucks — but the memories will last forever! Just make sure to pack some ibuprofen and check what kind of rewards your credit card offers.